Every experienced bonsai enthusiast has his/her own personal idea of what bonsai is to them and what defining factors make them aesthetically appealing. "Don’t be drawn into the trap of taking everything that this person says as gospel!" This applies especially if you are using a book as a reference when you are situated in a different part of the world from where it was written. 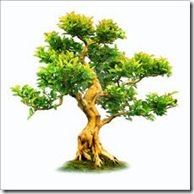 If a beginner is unable to have the experience of being taught the important principles of bonsai by an expert, he must obtain as much material on bonsai as possible – whether this may be just pictures of trees, discussions on the different styling processes involved or lists of suitable species to use. This mass of information will familiarise them to bonsai and help them gain experience by experimenting on cheap bonsai material. Frequently going to bonsai nurseries and bonsai shows will also allow the beginner to see true bonsai in real life from all sides, opposed to the usual 2D format. This will enable the beginner to see the way bonsai should be displayed and what the end result will be like The two basic styles of bonsai are the classic (koten) and the informal or ‘comic’ (bunjin). In the former, the trunk of the tree is wider at the base and tapers off towards the top; it is just the opposite in the ‘bunjin’, a style more difficult to master. potential for bonsai and to decide what style suits it. to the precise rules of your chosen style: adapt them to suit a plant’s natural habitat. 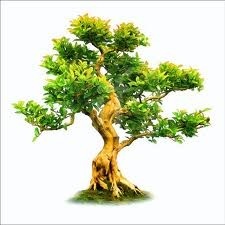 When you start a bonsai, always remember that you are working with a living plant. only really suits a particular plant, you still can interpret this in many different ways. choose, but, generally, it is best to base any design on the way a tree grows in nature.